Joomla CMS Training - a flexible half-day/full-day one-on-one training/consultancy session to give you a complete picture of everything you need to know about this popular open source Content Management System (CMS). There is no fixed course structure, instead you can ask questions specific to your needs to our expert trainers. 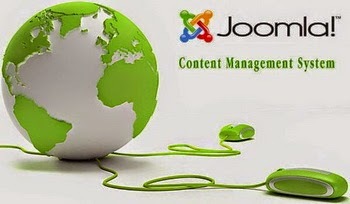 Briefly, Joomla website design / develop Training can cover what you need to know as a Joomla user/administrator. * Choosing template and working with templates. * Organizing and creating your content. Building sections and categories. * Uploading images and working with media manager. * Site navigation and menu items. * Managing your sidebar information with modules. Assigning modules to pages. * User management and access control (ACL). * SEF urls and SEO metadata. This personalized one-on-one Joomla training session delivered by our expert Joomla team is suitable for anyone with basic computer skills who want to get his/her website up and running fast. Usually this half-day or Full day Joomla website design Training session will be sufficient to cover all fundamentals of working with Joomla. If you need to learn more extensions like shopping Cart integration functionality, Community Builder, Forums, Directory or Classifieds, please contact our Joomla Expert today. Our Training Fare Rates Start From IDR 1.500.000,-, Contact us today to book you place !